Beanie Hats, one size fits all Beanie made from 100% polyester fleece in Black with Gold and silver Logo. See John Ridley at Trials to buy one, only £8.00 Each. I think that everybody at one time or another gets involved with Sporting Trials by marshalling at an event. If you fancy getting close to the action in a friendly atmosphere, then look no further. You will meet like minded people with a comradely spirit. 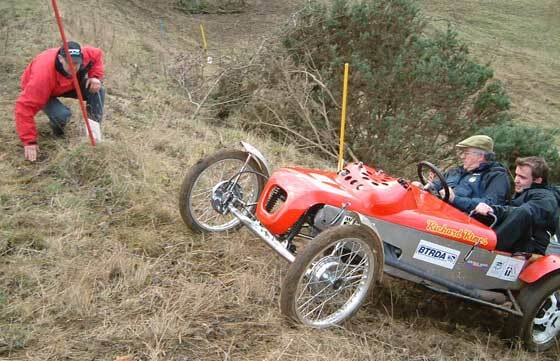 No previous marshalling experience is necerssery, as training will be given on the day at events. Most events start at 10.30 am, so come to the signing on caravan and have a go. Call me John Ridley on 07831 457770 or mail on jridley@lmcaudio.co.uk if you fancy getting involved. 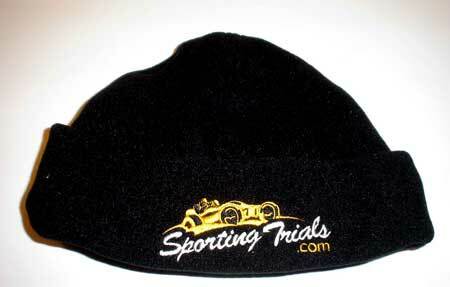 Sportingtrials.com is a club dedicated to the promotion and awareness of sporting trials in the UK. Sportingtrials.com organizes trials and training days in the UK. The club has a growing membership and accepts drivers, passengers and marshals. Join the club and keep up to date with what's going on with this friendly form of motor sport. Sportingtrials.com provides training days throughout the season. Sportingtrials.com has a training program recognized by the BTRDA and MSA to enable new drivers to compete at national level. The club membership will also help new drivers at events. Here we can see Stuart getting his female passenger in the right position for entry into the next section. If you want to get even closer to the action then have a go at being a passenger. A Passenger is part of the regulations in Sporting Trials and so is an essencial ingridient. 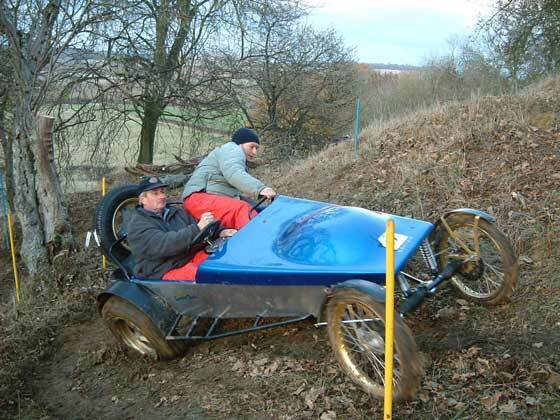 The Passenger is part of the team in sporting trials. The Passenger will move around in the car to help balance the car. The passenger is usually responsible for looking after the scorecard as well. As long as you are reasonably fit then try having a go. Training will be given so have no fears about getting it right. Find out first hand what needs to be done to climb the steepest of hills, the tightest of turns and the slipperiest of downhill's. Get to talk to all of the drivers about the black art and secrets of sporting trials.